Internode was one of the first ISPs founded in Australia, and was the first provider to offer ADSL2 speeds when the technology was first introduced. Whilst it was acquired by iiNet back in 2011, Internode continues to operate as a separate entity, providing a comprehensive range of plans to customers all around Australia. With ADSL and NBN plans to choose from in both naked and bundled form, we’ve looked at all of Internode’s current plans to make your broadband comparison easier. Internode has a range of competitive NBN and ADSL plans, and in 2018 took out top spot in our ratings for both NBN and ADSL. So, Internode produces the most satisfied customers, but what do they have to offer? Keep reading to find out more below. Internode has a suite of competitive NBN plans across three speed tiers, with data points at 100GB, 500GB and Unlimited. Unlimited data starts at just under $70 a month, going up to just under $100 a month, with call packs and extras an additional cost. Below are Internode’s unlimited NBN plans at a glance. What features does Internode offer? Internode is a ‘full service’ provider meaning it doesn’t just offer internet – it also offers a range of other features to complete the package. Internode NBN coverage is largely subject to the rollout by the NBN’s wholesale operator, NBN Co. Internode is part of the iiNet family and as such uses much of its infrastructure. Internode’s NBN coverage spans across most capital cities, as well as the Hume corridor from Sydney through to Melbourne. Internode on its website features an ‘NBN checker’ so you can see if your address is covered or not. Internode includes many bonuses, features and extra ‘stuff’ with its NBN and internet plans as a whole. Internode boasts entertainment, call packs, premium modems and more. Entertainment: For $10 a month extra Internode bundles in a Fetch TV entertainment pack, including a Fetch Mini, 30 movies each month and more. Call Packs: Internode offers both NBN phone (for selected customers) and VoIP services, and from $5 a month includes a certain amount of call credit. Modems: A standard modem is offered but users can upgrade to a Fritz!Box 7490 modem for $199-$249 extra, boasting AC classification, dual bands, gigabit Ethernet ports and more. These three key features make Internode not just a barebones NBN and internet provider, but a fully-fledged service provider for internet, streaming and home phone needs. Across the NBN, Internode offers a total of nine plans. There are three different data points across three different speed tiers – NBN 12, 50 and 100. There is the choice of either a month-to-month or 12 month contract, with the former attracting an $89 modem fee. Internode also states a delivery charge of $15 may also apply, regardless of contract. 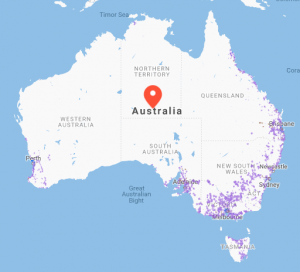 Internode’s NBN plans are available across FTTP, FTTB, and FTTN connections with an additional subset of plans available for HFC, FTTC and fixed wireless customers. Let’s dive deeper. Internode has three plans in this speed tier, with plans starting at just under $50 a month. However, for unlimited data, Internode charges close to $70. This speed tier boasts a 10.4Mbps premium evening speed, which is likely what you’d experience in peak times (7pm to 11pm). Internode skips the NBN 25 speed tier and goes straight for NBN 50. Here, plans start at just under $55, while for unlimited data you’ll be spending closer to $80. Internode boasts a 43.6Mbps evening speed here. For the fastest of what’s available in Australia, Internode dishes up plans starting at just under $75, while for unlimited data you’ll be spending close to $100. Internode’s ‘Platinum’ offerings dish up an 80.5Mbps evening speed here. Internode boasts a comprehensive self-support system with an online portal to check network status and look at contract and payment details. Through the portal customers can also pay their bill, check their usage meters and change their plan. Internode also has an email system with antivirus built-in. A number of services are also available with unmetered Netflix and unmetered streaming radio, but many of these plans have since been grandfathered, meaning they are no longer available to new customers. How does Internode compare to other NBN providers? If you’re after more than just straight broadband, a number of telcos may provide what you’re after – you just have to shop around. These four offer unlimited data, entertainment and call packs for similar prices, although Foxtel broadband plans generally commands a premium due to its bundling of broadband and its Foxtel channels. Is an Internode internet plan a good deal? Internode could be considered one of the elder statesmen in the broadband world, having been around for a while and seen some significant changes. Nowadays it offers fairly competitive broadband plans, with top-flight NBN costing less than $100 a month. As well as this it also offers home phone call packs, entertainment add-ons, comprehensive customer support, webmail, antivirus and even more. Internode is the not the cheapest out there, but more than makes it up for it with its range of extras. The next time you’re shopping around for an internet or NBN plan, Internode may well be towards the top of your list. What do customers think about Internode NBN plans? In 2018, Australian customers gave Internode 5 out of 5 stars for Overall Customer Satisfaction for NBN plans.